When everyone thinks of the first ever Greatest Royal Rumble, we may think about Braun Strowman winning, we may think of Roman Reigns falling short to Brock Lesnar...again, but one thing we will remember is Titus O'Neil's entrance. Watch the GIF above, my words can not do it justice. The best part was after he got up, he got in the ring and continued as if nothing happened. Darren Young spoke with Spandex Podcast and said he was happy with Finn Balor's WrestleMania entrance. Balor entered the ring with members of the LGBT community. However, Young was disappointed that the WWE did not invite him to sit in the crowd nor did they do anything the previous year when they were in Orlando. Orlando was the home where the mass shooting took place at the Pulse Night Club, a club where people of the LGBT community frequent. Naomi has been standing by her man lately. The Usos have been getting destroyed by The Bludgeon Brothers. But on Smackdown, Jimmy Uso was able to get a victory after Naomi added a little distraction. Check out my latest where I discuss why she and Jimmy are the most successful couple in WWE today. You better put some respect on Cedric's name. Here is letting everyone know that he has the best dropkick in the business. 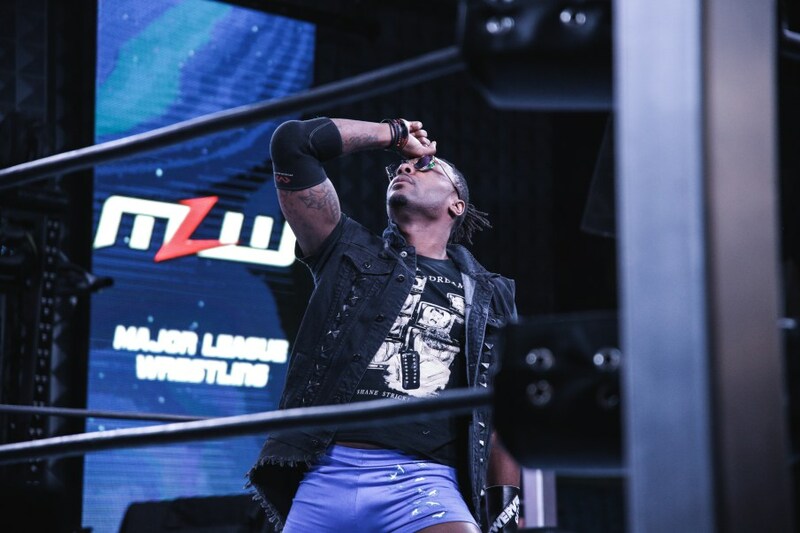 MLW Heavyweight Champion defeated Jimmy Havoc this past Friday on MLW Fusion in a non-title match. MLW Fusion airs weekly on Bein Sports. Check your local listings. Make sure you check out my review of WWE Greatest Royal Rumble. Subscribe to the Wrestling Wrealm on YouTube, Itunes, Podbean, and Stitcher.